Home Editorials George Romero: Are Zombie Films Really Dead? I’ve always been a huge fan of George Romero. And if you’re a fan of any sort of zombie films, you should be, too. The director changed the face of the zombie forever with his 1968 indie flick Night of the Living Dead. Everything since has just been more or less been trying to recreate the magic of that black and white masterpiece. The impact of the film is still being felt today. The popularity of films such as World War Z and television shows like The Walking Dead are proof enough. 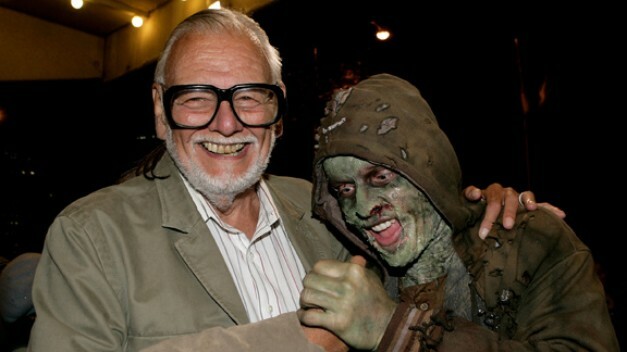 But despite their popularity, George Romero has been finding some difficulty getting his own ideas out to the public. Is he a victim of his own creation? Hollywood Reporter: Do you have thoughts on the future of the Dead franchise? Romero: I’ve sort of dropped out of it. The Dead are everywhere these days. I think really Brad Pitt killed it. 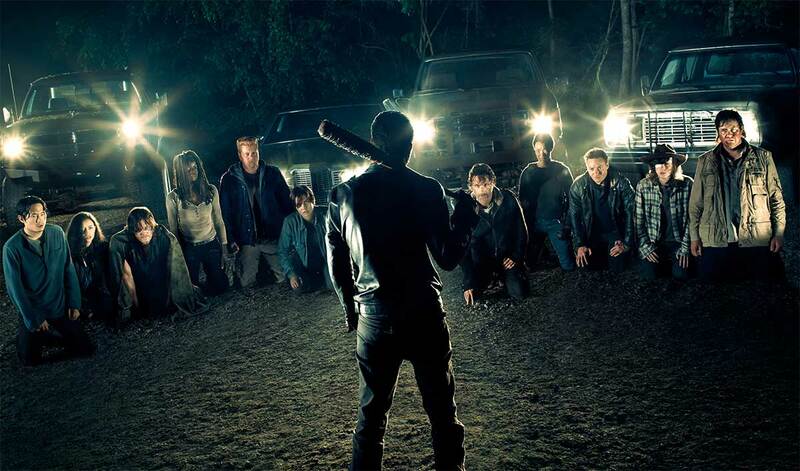 The Walking Dead and Brad Pitt just sort of killed it all. The remake of Dawn of the Dead made money. I think pretty big money. Then Zombieland made money, and then all of a sudden, along comes Brad Pitt and he spends $400 million or whatever the hell to do World War Z. [World War Z author] Max Brooks is a friend of mine, and I thought the film was not at all representative what the book was and the zombies were, I don’t know, ants crawling over the wall in Israel. Army ants. You might as well make The Naked Jungle. As far as I’m concerned, I’m content to wait until sort of zombies die off. My films, I’ve tried to put a message into them. It’s not about the gore, it’s not about the horror element that are in them. It’s more about the message, for me. That’s what it is, and I’m using this platform to be able to show my feelings of what I think. This certainly is concerning, and the sadness behind these words is overwhelming. Romero’s films are some of the best that the horror genre has to offer. Regardless, it seems as if the passage of time has started to bury the filmmaker’s influence in favor of a more modernized, bubblegum-type zombie. Zombies really are everywhere. Like the movies, they’ve been slowly closing in on pop culture until that final moment when we are completely overrun. Plants Vs. Zombies. Pride + Prejudice + Zombies. iZombie. The list goes on. Romero has a point – mostly. It appears that if the image of the zombie has become so iconic that the idea of the undead being a vessel for a metaphor has become old news. Dawn of the Dead was a cynical outlook on consumerism. The creatures here flocked to shopping malls and trudged around mindlessly, much like the media had been commanding them to do throughout most of their lives. With each film, George Romero had been making a statement. These were personal films, ones with meaning and depth. And while I certainly did enjoy Scouts Guide to the Zombie Apocalypse, it was mindless fun at best. I do agree with the Night of the Living Dead creator for the most part. I understand what he is saying about feeling like he has been abandoned by all of these people who have taken influence from him, knowingly or not. However, I think there’s also something that needs to be said about this. The difference between The Walking Dead and almost every other zombie-themed movie, book, or game, is that the strongest part about it is the human element. For all of the Walkers that can be found in TWD, it’s proven – especially by Negan – that even in a world infested with flesh eaters, the real monsters are still the people. It has always worked best when there is a strong element of human drama. When major characters die, the ratings skyrocket. Which is fine. That’s what happens with a good drama. The Walking Dead understands human tragedy so much that I’ve heard many people call it a “Soap Opera with zombie cameos – which, in my book, is fine. It’s crossed more than one boundary and upset its fair share of people. Yet, the reason it remains so popular is because of the cast. Maybe the show isn’t making a political statement like Romero, but there is undoubtedly more to the show than just Walkers. Again, it’s important to note that the show is the exception and not the rule. Zombies elsewhere have taken on a silly, comical appeal. More often than not, the undead rising from the graves are depicted in horror comedies. The more outrageous, and the more you can satirize the idea of a zombie, the better a movie seems to do. It’s an incredibly strange and unexpected trend. I think that Romero still has it in him to make a good film. I truly do. He’s a smart, likable guy. We just need people to keep his name alive and to keep reminding everyone where The Walking Dead and World War Z came from in the first place. Despite the overabundance of zombies in this day and age, it seems pretty lonely without George A. Romero. Demand his movies. Wear your Night of the Living Dead shirts. Help keep zombie films…human.